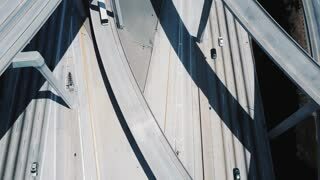 Static drone aerial shot of large complex highway road junction with cars moving through multiple flyovers and bridges. 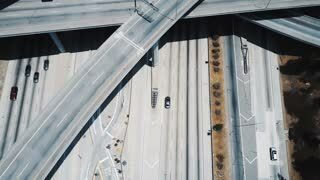 Drone aerial view of a large highway road intersection in Los Angeles, USA with complex system of junctions and bridges. 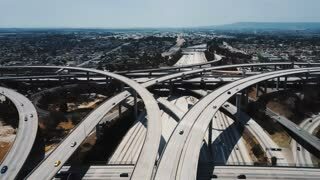 Amazing aerial panning shot of famous Judge Pregerson highway road junction with multiple complex flyovers and bridges. 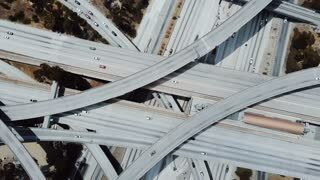 Drone descending above complex freeway intersection with traffic moving through multiple road flyovers and bridges. 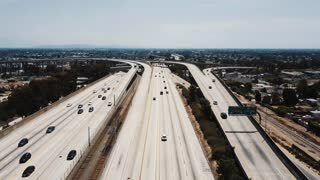 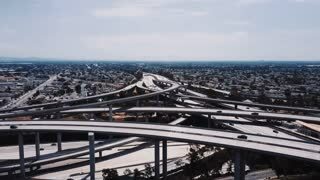 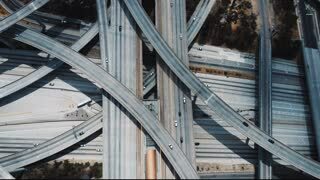 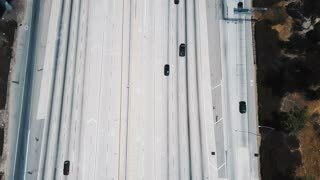 Beautiful cinematic aerial shot of cars moving through American interstate highway with multiple bridges and flyovers. 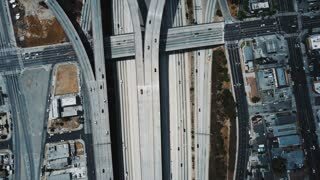 Drone flying over complex structure of Judge Pregerson highway road junction with multiple level bridges and flyovers. 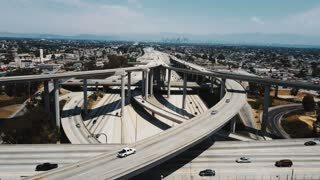 Drone approaching large highway road intersection, cars moving through multiple level flyovers, bridges and junctions. 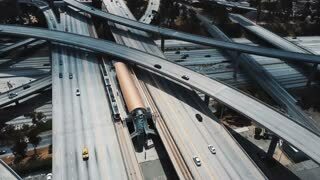 Top view drone rotating fast above big freeway interchange with cars moving on multiple flyovers, roads and bridges. 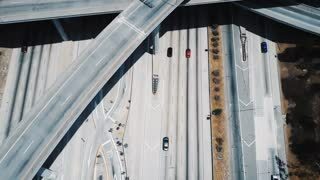 Beautiful drone flyover above large highway junction interchange with complex structure of multiple roads and flyovers.